Hi again everyone. This is Desheng at your service. 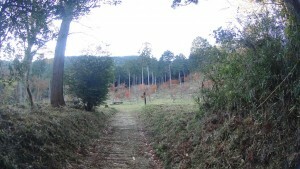 Today I visited the Yugawara, a place known for its hot spring resorts. That said, I didn’t come for hot springs. Instead, I was here for the Momiji Village, a spot known to filled with trees with beautiful red leaves. It is located within the Okuyugawara Prefectural National Park. 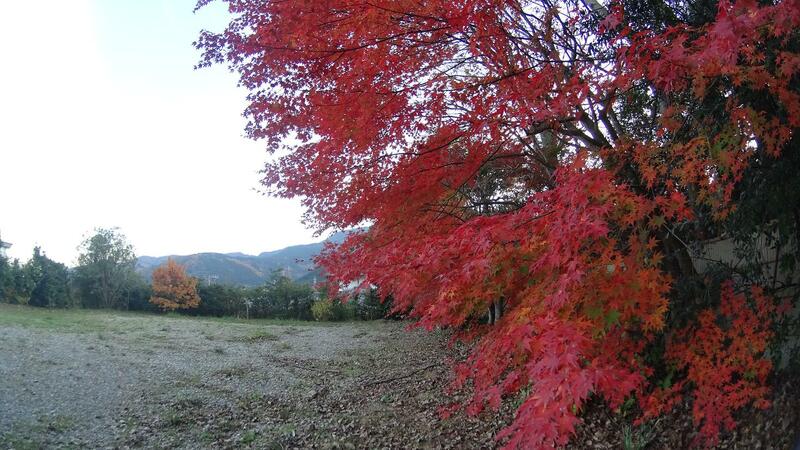 Just in case of any misunderstandings, the Momiji Village is not an actual village. 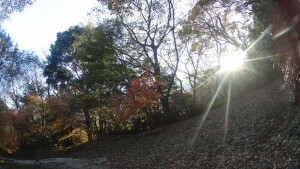 It is just a scenic clearing on a mountain. This was the Ikemine bridge at the entrance of the park. 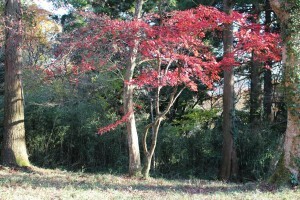 Beautiful red leaves beckoned me to enter. 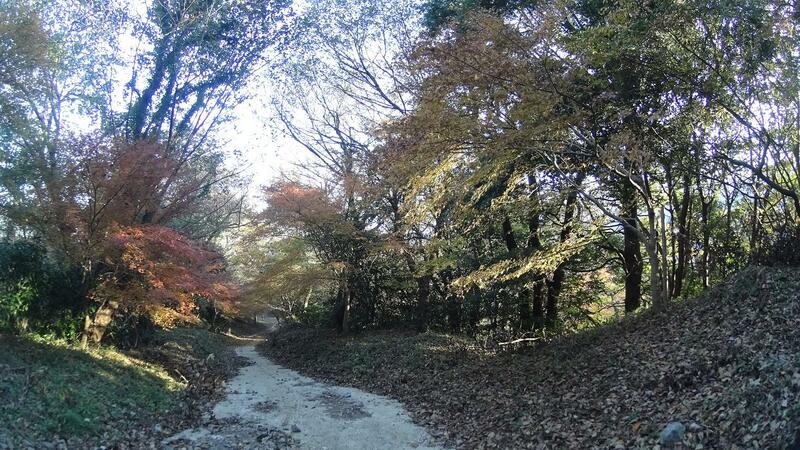 It was a 40 minutes walk from here to the Momiji Village. Since it was an actual mountain path, there were plenty of stones and fallen leaves littered all over it. If you did not wear proper hiking shoes you would likely hurt your feet and spoil your shoes. That said, it was not a particularly difficult hiking track as long you dressed for it. The mountain path was well, just a mountain path. Nothing spectacular about it. However, if you looked to your left, you would behold this majesty. This was a mountainous part of Japan, and sights like these must be common to residents. The same couldn’t be said for a city boy like me. 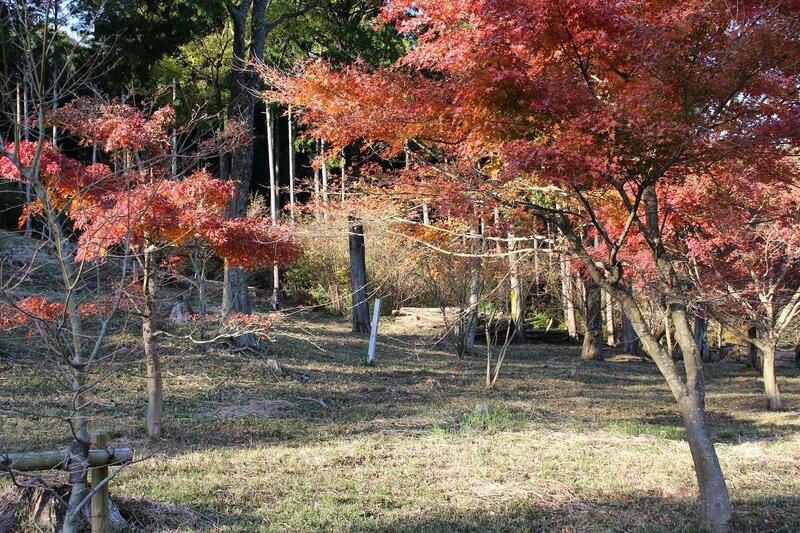 When I finally arrived at the Momiji Village, I was… underwhelmed. I supposed I came too late after all. The proper period to visit would be November. There were several benches meant for flower viewing. 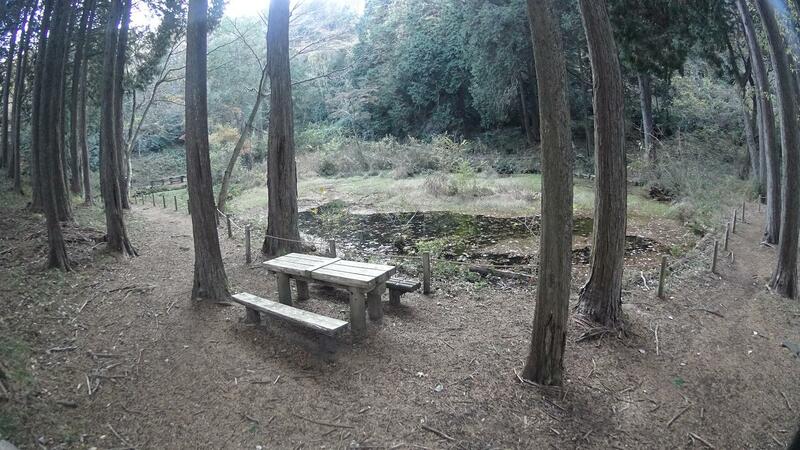 In the proper period of the year, I suppose there would be many families, couples, groups of friends drinking tea and chatting on those benches. 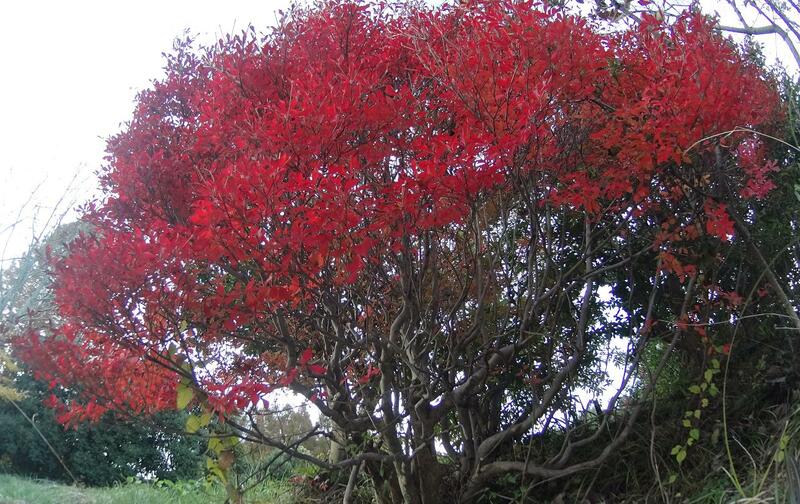 There were still a couple of trees who hadn’t shed their beautiful red leaves, so I made the best of the situation and snapped some photos. 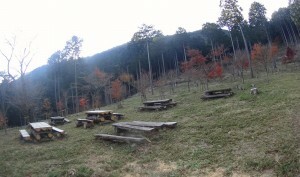 On the way down the mountain, there was another spot worth a visit. It was a the Ikemine pond. There were supposed to be many birds and insects around, but I didn’t manage to see any of them. Maybe they were a bunch of shy folks. I could hear them loud and clear though. This part of the mountain path was lively with the chirpings and cries of those folks. All that remained was the long walk down. It was an hour-long walk, but it was nothing compared to the ascension. The road was less rocky and it was a downward slope all the way. Surprisingly, there were many photo moments along the walk down. I wasn’t too impressed with what I came for, but the various things I didn’t come turned out to be wonderful. Perhaps this could serve as a lesson in life as well. Even though I didn’t manage to take amazing photos, the hiking part of it was fun and provided me with a much needed exercise. From now on I shall pay more attention to the period of visit as well as weather. Please look forward to my next article as well! 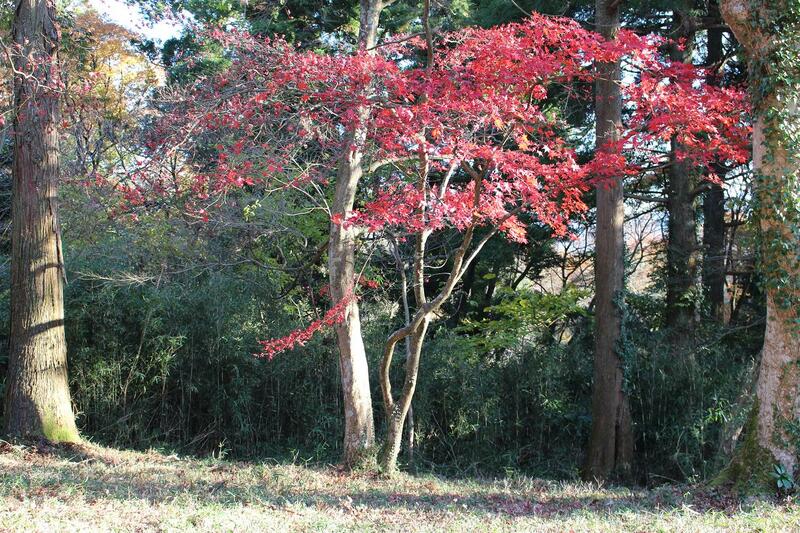 When tea rooms are open (Heisei 25 year November 16 to December 1）free parking slots are available. *Large vehicles are not allowed. From JR Yugawara station, take the “Okuyugawara” bound bus to the last stop “Okuyugawara” or the second last stop “Okuyugawara entrance”. Bus ride takes about 20 minutes. 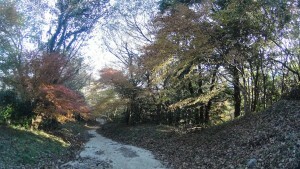 Walk for 40 minutes from Ikemine bridge. 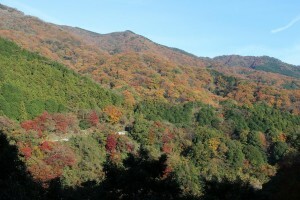 The “Momiji Village” is located within the Ikemine hiking course. 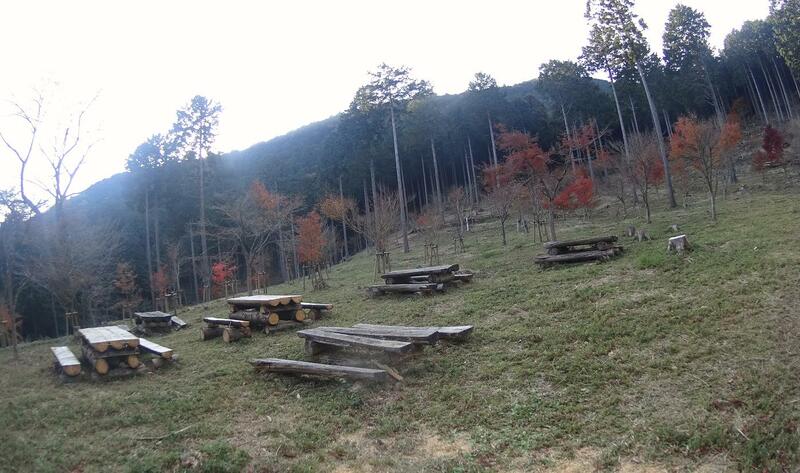 The hike is not too difficult. 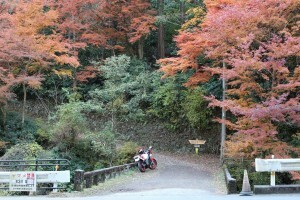 “Momiji Village” cannot be reached by car.